Last Night, Hatch Detroit announced the top 10 semi-finalists in the 2016 Comerica Hatch Detroit Contest presented by Opportunity Detroit. The public is invited to cast their ballots for their favorite top 10 businesses during the primary voting period, from Aug 12-18, to determine the four finalists who will compete to win $50,000 from Comerica Bank and more than $200,000 in pro bono services from Hatch Detroit and its partners. · Ash & Anvil is the first company to design clothes specifically for younger, shorter guys. After launching a successful eCommerce store, they’re expanding to a brick & mortar location. · Bird Bee is a lifestyle clothing boutique offering a mix of modern bohemian, vintage inspired and contemporary clothing, shoes, jewelry and accessories. · Brut Detroit will be Grandmont Rosedale’s neighborhood wine bar, making wine approachable, affordable and fun for everyone through wine tastings, events and friendly service. · Chugga’s Main Street Bakery is a women owned, family operated bakery that is looking to open in Highland Park. They specialize in breads using simple all natural ingredients, that are healthy and nutritious. · Corbé is a ceramic design and manufacturing studio located in the North End of Detroit looking to open up retail space. They handcraft porcelain wares that are simple and useful, built for the modern home and table. · Coriander is looking to expand their urban farm and catering business into a brick & mortar café, featuring casual, affordable, healthy food in a rustic, beautiful environment in Detroit. · Detroit Dart Club hosts Nerf battles, offering a fun way to engage kids and adults in exercise. They’re looking to expand to a second, larger location in Southwest Detroit. · ITADAKU (it-uh-da-ckoo) is a fine-casual sustainable sushi shop opening in Corktown. They make fine dining quality sushi at an affordable price, using sustainable seafood and organic produce. · Meta Physica Massage will open a Wellness Center offering therapeutic bodywork, full spectrum infrared saunas, a raw juice bar, an herbal apothecary and health inspired retail, meditation classes and community workshops. · The Natural Market’s vision is to open a boutique specializing in Handmade Bath, Body & Home Products and customized fragrances. Full company bios are available at: www.HatchDetroit.com. "The Hatch Detroit Contest is instrumental in accelerating Detroit's entrepreneurial community, and Opportunity Detroit is proud to be a part of an initiative that views small businesses as a catalyst for creating jobs and wealth for our city," said RJ Wolney, Director of Finance at Bedrock Detroit and Hatch Detroit Board Member. "We are excited to see the next group of companies that will join the Hatch Alumni network of retail businesses that embodies the innovative and collaborative environment that we believe makes Detroit so exciting." The primary voting period will close Aug. 18 at midnight. Finalists will be announced Friday, Aug. 19 and the general election voting period will begin. 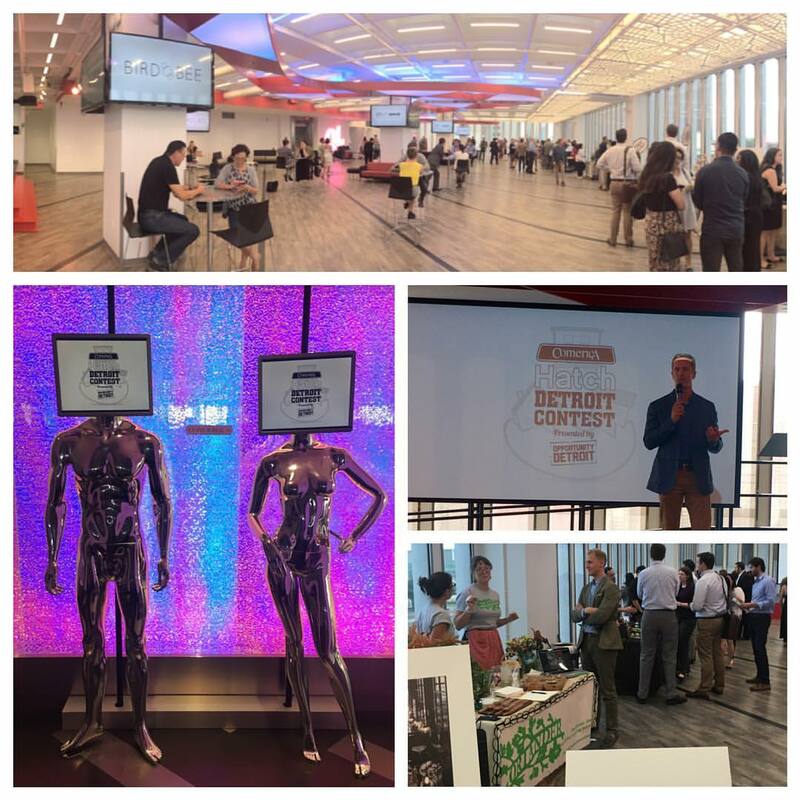 The finalists will present their final business pitches to a panel of judges before the winner is announced at the Hatch Off event Friday, Aug. 26 at The M@dison Building in Detroit.